I'm Kyle. I've been at Lambton College for three years. My whole life I've been trying to find my 'why', what's my purpose here? I went to university and that didn't go well. I dropped out, started volunteering and then I found a passion for helping others. 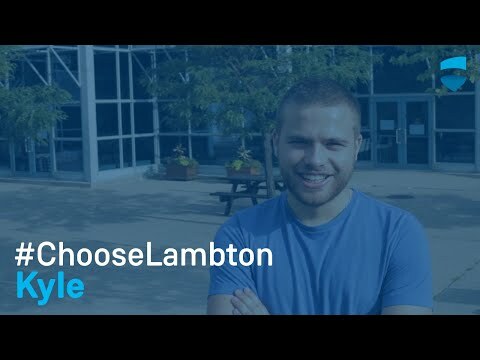 I chose Lambton because I wanted to study Child & Youth Care because I love the community aspect of the profession and I just love the college! You walk down the halls, you always see familiar faces, you know your professors and call them by their first name. They're very passionate about the success of their students. Everyone has mental health. It's easy to get caught up in putting pressure on yourself that you don't need. I still forget sometimes to be myself. I was diagnosed with depression and anxiety when I was in Grade 12. But there was a Child & Youth worker at the school who really helped me succeed and I'm not sure where I would be without her. She is a Lambton College grad too.